The speed of your website has the major impact on the SEO. Have you ever thought about improving the website speed? What are the ways? There are many things which can be done to reduce the page loading time. In this post, I am going to tell you how to reduce HTTP requests. Do you know about the HTTP requests? Have you ever checked the no. of HTTP requests which are made by the browser while opening your website? All these questions have the answers and I am going to provide you some techniques reduce these requests. The first question is about the real meaning of the HTTP requests. Whenever a user types the URL of your website then the browser ask to the web server for your website. The requests made to upload each and every file present on your file are called as HTTP requests. How To Minimize HTTP requests? There are many ways using which you can reduce HTTP requests and improve the speed of your website. Whenever the browser tries to open your website then the less would be the HTPP requests the faster would your website open. 1. Combine The CSS Files:- There may be many CSS files present on your website and for each file, HTTP requests are made. You shouldn’t increase the no. of CSS files. If you write the custom CSS then make sure that you include it in the main CSS file after finishing the editing. Use the external CSS, avoid inline CSS. It means that after combining all the CSS files into one file add the link to it in the header of your website. It can be done by adding a simple link to the external CSS file. It is the method to add the external style sheet in the header of your website. The file name can be different. You may have another CSS file name. Maybe “custom.css” or any other file with the .css extension. If that doesn’t work then make sure that you include the script files in the footer of your website. It’s because when you have all the script files in the header of your website then the browser would take more time to load the files and the page loading time would increase. 3. CSS Sprite:- It is one of the best methods to reduce HTTP requests. CSS sprite is the method to split the images whenever needed. It’s like storing many images into one file. It means the browser won’t make different HTTP requests for all the images. It can make one request and the speed of your would increase. CSS sprite helps in reducing the page loading time by storing all the images of the buttons and similar files in one file which would help the browser to load your website faster. 4. Use Data URI Technique:- First of all, let me walk you through the Data URI technique. It is a technique which can be used to embed the images in the form of the code in the HTML markup and the CSS stylesheets. It’s the Base64 Code conversion. The code would be reduced by the Data URI converter. The no. of HTTP requests would be reduced. But the problem is if you would try to understand the code in between the CSS code then it would be hard. 5. Remove Unnecessary Images:- The more images you have, the more HTTP requests are made. So it’s important to delete all the images which are not in the use. You won’t like to increase the no. of HTTP requests for some useless images. Whenever you upload any image to your web server and then use another by replacing it then make sure that you delete the previous image. It would minimize HTTP requests and improve the speed. 6. Optimize Images:- Whenever you upload any image then try to optimize it as much as possible. There are many tools like TinyPNG which can help you to reduce the size of the images without losing its quality. To improve the speed of your website, you should take an action and try to provide the few reasons to make HTTP requests to the files. Are You Still Thinking as How To reduce HTTP Requests? As I have mentioned above that the speed of your website has the major influence on the traffic. You can use many techniques to drive traffic to your blog and all the SEO tips and tricks. But if the speed of your website is not good then the users won’t like to come again. To improve the user’s experience, you should try to reduce HTTP requests so that the browser can load your website easily with few requests. To improve the speed and the level of your website, try to lower down the no. of HTTP requests. 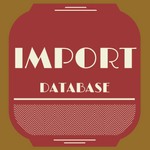 How To Import MySQL Database Into phpMyAdmin Quickly? I liked this post. And you are right there is no use of the unused images on the sites. Large size images increase the the website speed. It is better to compress them. Site speed is an important factors that effect website conversion. 75% people leave website if it doesn’t load within 3 seconds. It’s not only about the images. There are many things which don’t let your website get opened fast. If you have a little bit of knowledge about the CSS then you can reduce the speed of your website to more context. But still, what’s the use of the extra images on your website. Just send them to the trash and empty it. Try to reduce the load from the server. I am very appreciative of this well informed post. As much as I have been blogging since 2012, much of the technical jargon still seem new to me. They are things that we need to pay close attention to. I may consider a virtual assistant one day to work on all these areas for me. Nonetheless, I am a fortunate to have my website load fast – something that I get compliments on all the time. Of course there are those rare occasions when there is problem with the network or server but for the most part, yea good speed. I always try to delete images that I am not using such as when you change your mind about one you already uploaded for a post. Also, I try to keep it clean by trashing drafts posts that are sitting around in my draft folder for a very long time and would no longer be shared. One of the main reason for the speed of your website is the web hosting server. 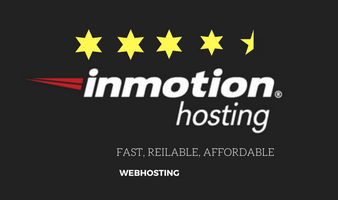 If you have the poor web hosting then the speed won’t be good. 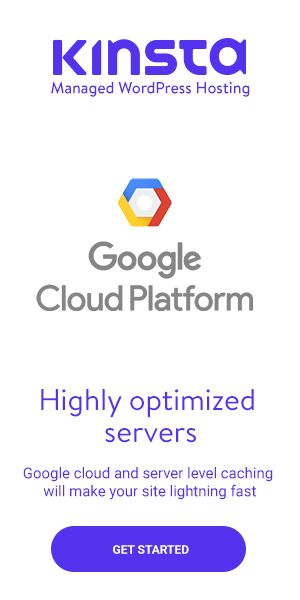 The images you upload on your web hosting server should be optimized and delete them when not in need. Yeah! the network problem. This is something you can’t do about. 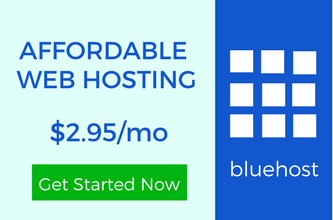 Just try to choose the web hosting carefully. If you are on the fully hosted version of the WordPress then they would take care of that. I find it more worth my time to reduce the size of my images and host them at a subdomain to take advantage of parallel downloading. I also make sure that WordPress is caching the pages and that the browsers can cache all of the CSS, JS and images. If you are not a tech savvy person that I would be hard. So you should do it using a plugin. Manual action won’t be favorable.